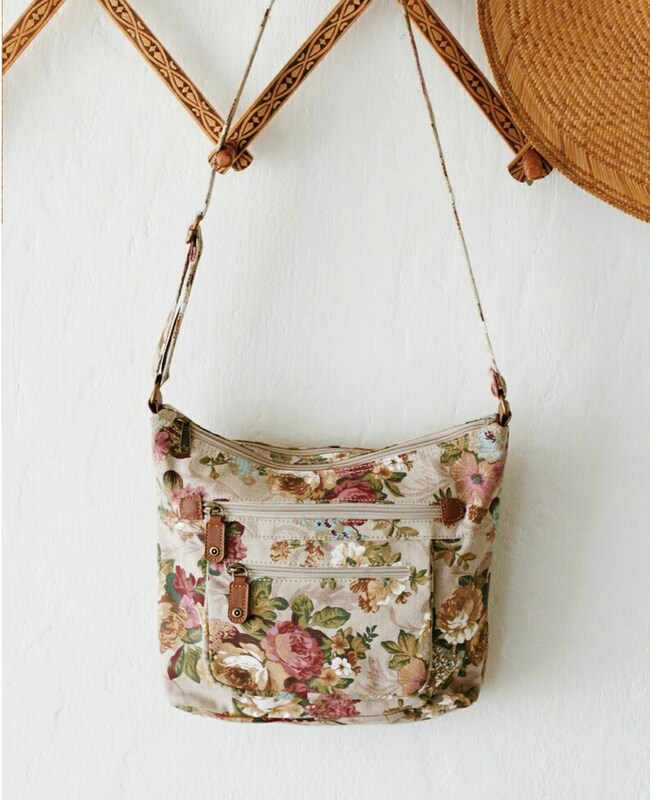 Vintage floral cross body bag. Canvas material with vegan leather detail. Two large compartments with zipper closure. Two front smaller compartments with zipper closure. Great vintage condition. Looks like new.